The Best Tile & Grout Cleaning in Haddonfield, NJ. Make your tile and grout sparkle again with the best tile and grout cleaning in Haddonfield, NJ. Majestic Carpet Cleaning will make your tile shine as bright as new. Most household products will clean your tile and grout. However, the color of the grout and the age of the grout are factors in how the tile and grout should be clean. The average person does not know this and do not clean the tile and grout properly. Thus, we recommend calling a professional to get the best tile and grout cleaning. A good cleaning can help make old tile look new again and help new tile keep their polish. Do not compromise your tile and grout by trying to clean it yourself. You can do more harm than good. Call your local professional and schedule a cleaning. Cleaning grout can be a tricky endeavor. You need finesse. You must get every nook and cranny, and that can be difficult for an amateur. Dirt can get trapped between the tile and grout. A professional can clean the grout without disrupting the integrity of the grout. Grout is porous and can be susceptible to damage due to over use of water. Thus, you can disturb your grout by using too much water while you mop. 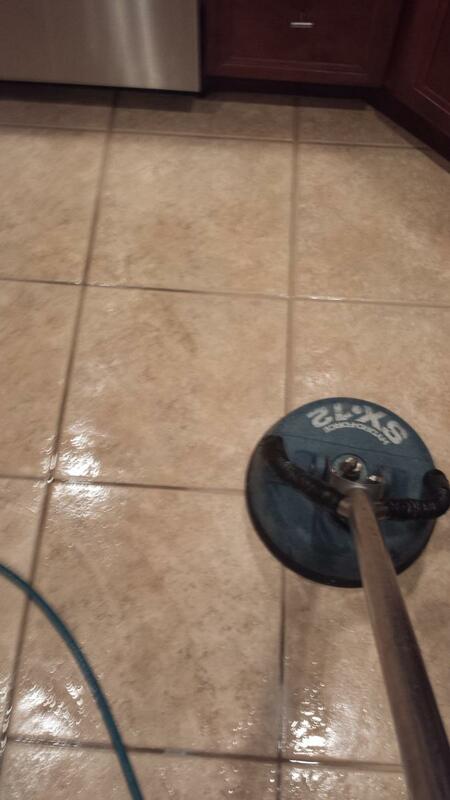 A professional can offer The Best Tile & Grout Cleaning in Haddonfield, NJ. and offer you tips on how to maintain it until the next professional cleaning. After your professional tile and grout cleaning, you will see a visible difference that will make your proud to show off your home.